Do you want free Princess Ball tickets? The Princess Ball only succeeds with the support of our volunteers, including those that solicit items for our silent auction and solicit sponsorship dollars from key partners and donors. We have had an outpouring of support from people wanting to assist us in our fundraising goals, so this year we have decided to incentive those who are our most prolific producers of goods, services, and sponsorship opportunities. This year, we are pleased to offer a pair of tickets to three volunteers who manage to raise $3000 or more of sponsorship or in-kind donations. Volunteers will receive support in the form of letters, goals and targets, and sponsorship decks. To apply, please fill out the form below. Based on the strength of the submissions, we will choose three volunteers to receive the incentive this year. And don’t worry, if you have already purchased tickets, you will receive a refund of $300 once you raise the $3000 of donations. Selections will be made by December 4th, so apply today! The sale link is only sent via email to those on our early bird ticket list. Haven’t joined yet? You can do so here. Open the early bird sale announcement email. On the sale date, click the link in the email in advance of the sale time. Tickets will only appear for purchase at precisely sale time. Until sale time, you will only see a Donation button for our Princess Wish Ticket Grant program. Exactly at sale time, refresh the page. Keep refreshing until you see the tickets come available. Immediately and without delay, select the number of tickets you wish to order and click “Order Now”. Until you click “Order Now”, the tickets you have selected are still available for others to purchase and may no longer be available. If the tickets show as “Currently Unavailable” that means that tickets are sitting in people’s cart but they haven’t yet finished their purchase. These tickets may release for sale if they have been in their cart for more than twenty minutes. Keep refreshing the sale page to see if these tickets become available. However, when the tickets say “Sold Out” they are no longer available. Please note: while there are lots of tickets available for sale, historically demand has outweighed the tickets available. Being on the Early Bird list does not guarantee access to tickets, and even if you follow these steps exactly, you still may find tickets unavailable due to the popularity of this event. Good luck and thank you for supporting Wishes for Olivia and Make a Wish Foundation of Canada. Stu Jeffries, long time supporter of Make a Wish, two-time Emcee for The Princess Ball, and boom 97.3 morning host extraordinaire, is once again honoured to host this popular event. At home among the excited families and royal guests of the Ball, and an articulate advocate for children with life-threatening illnesses and disabilities, Stu is proud to continue his support of the mission of Wishes for Olivia, and we thank him for his generous support! Fourth time is a charm for Home Trust! Home Trust is honoured to be a four time Gold Level Sponsor of the Princess Ball! Home Trust Company is one of Canada’s leading trust companies. They offer Canadians a wide range of financial product and service alternatives, including mortgages, Visa cards, deposits and retail credit services. They focus primarily on a unique segment of the Canadian marketplace: consumers who do not have traditional credit backgrounds and whose specific needs are not met by larger financial institutions. They cater to self-employed entrepreneurs, people with past credit issues and borrowers with equity in their property who do not qualify due to lack of provable income or little credit history. With offices across the country from Halifax to Vancouver, and their head office in downtown Toronto, they are able to offer thousands of Canadians the alternative financial solutions they need. Whether it’s helping you to buy your first home, consolidate higher-interest loans and credit cards to save you money, or renovate your dream house, they’ve got the flexible alternative solutions to help you meet your goals. Home Trust is committed to helping children with life-threatening illnesses have their wish come true, and their generous sponsorship will once again help Make a Wish Canada fulfill this vital goal. Welcome Back Stu Jeffries: Princess Ball Emcee Extraordinaire! 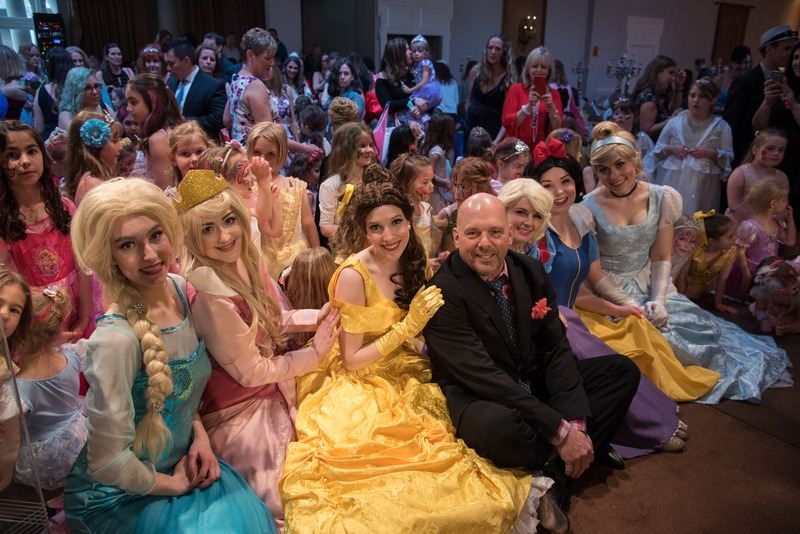 Guess who is honoured to once again Emcee The Princess Ball? Stu Jeffries of boom 97.3, that’s who! 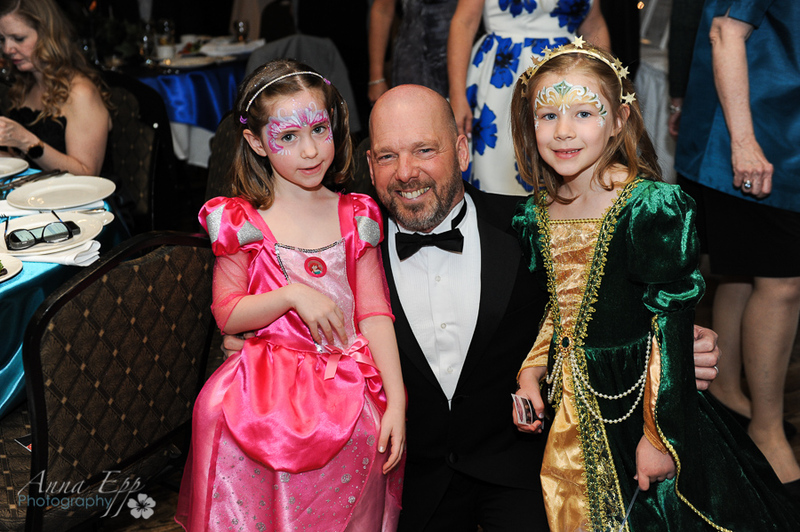 Stu was so touched by the positive effect that Make a Wish has on the lives of children with life-threatening illnesses and disabilities that he knew he had to return once more to host The Princess Ball. Stu is one of Wishes for Olivia’s biggest cheerleaders, and we thank him for his generous support.. Marketers on Demand (MoD), a full service marketing agency dedicated to marketing and creative recruitment, is once again ensuring that children with health concerns and their families have the opportunity to enjoy a magical afternoon at the Princess Ball, by sponsoring the Princess Wish Ticket Grant Program for the second year! Marketers on Demand understands that there are children in our community who are facing health issues, and would love the opportunity to enjoy a day of whimsy and magic, far away from the day-to-day concerns they have to endure. We always remember that these children are the reason behind the Ball – and we want to make their wishes come true. To support The Princess Ball, MoD is once again generously donating a portion of their revenue to the Princess Wish Ticket Grant program. Founded in 2008 by Marcie Pollack, Marketers on Demand continuously recruits and builds a pipeline of marketing professionals who are current and in demand. With their fingers on the pulse of current marketing trends and networking industry connections, MoD provides only the best marketing and creative talent for Fortune 500 companies on a contract, contract-to-perm and permanent basis. Welcome to Gold Level Sponsor, Nexonia! We are pleased to announce that Nexonia has joined The Princess Ball as Gold Sponsor. 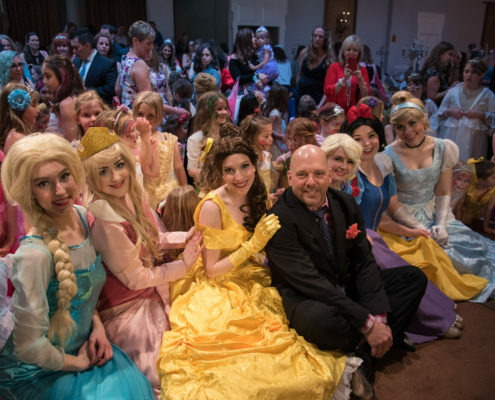 The mission of The Princess Ball, to support Make-A-Wish Foundation of Canada by providing much-needed funds to bring the power of a wish to so many children, resonated deeply with Nexonia. They are committed to social responsibility, and their generous Gold Level sponsorship shows just how passionate they are about giving back in the community. Nexonia builds deeply integrated web and mobile products to automate entering, approving and monitoring money and time. Their products have made lives easier by automating time and expense processes through leading-edge technology. We thanks Nexonia for their generous support. Hey Princesses, we have EXCITING news! WestJet has kindly donated a return flight for two to anywhere that they fly, which will be our Grand Raffle prize on April 17th! Take your pick from hundreds of scheduled WestJet flights to more than 100 destinations – you and one special friend will take to the skies and set off on your own BRAVE adventure, in support of Make-A-Wish Foundation of Canada! Tickets will be sold at the event, 1 for $20, 2 for $40, or buy 3 for $50 and get an amazing sparkle wisp wand! Special thanks to WestJet for this generous opportunity. 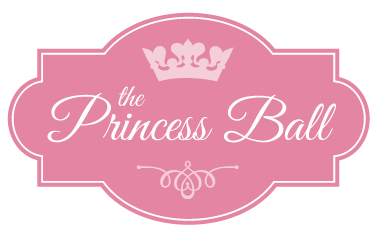 New in 2016: The Princess Ball Archery Experience! Princesses don’t just wear bows: we shoot with ’em too! New this year, we are pleased to provide our guests with a special Princess Ball archery station! 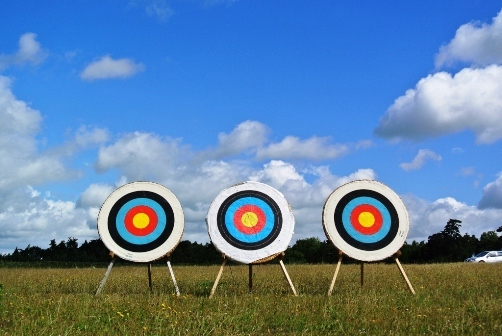 Archery has long held a place in Scottish tradition as a ceremonial, military, recreational or hunting activity. References to Scottish archers go back many centuries, and of course its popularity has increased recently due to one very special, brave princess. Feeling adventurous? Let our medieval archers help our royal guests take aim and let loose with our special “safety” arrows. We can’t wait to see your little princesses and princes demonstrate just how brave they can be!